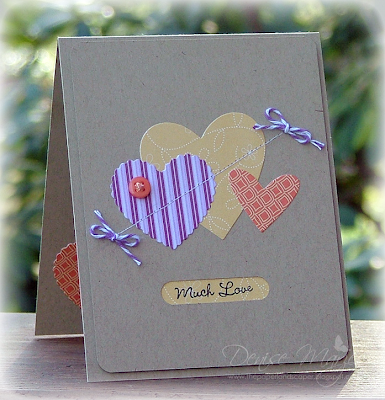 Papers are by Stampin' Up, hearts were cut with MFT Die-namics, I drew in a light pencil line for the machine stitching and then erased the line, and added some small twine bows to the ends of the stitching. 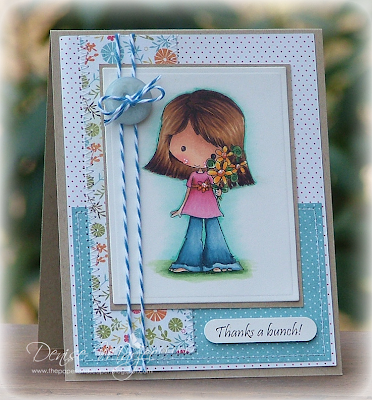 The sentiment (also from MFT) was stamped on the yellow DP and placed behind the kraft panel through the word window punch. The whole kraft panel is up on foam tape. 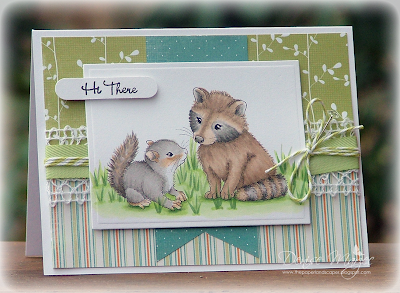 Oh and how I LOOOOVE this raccoon and squirrel....especially the raccoon. He stole my heart! 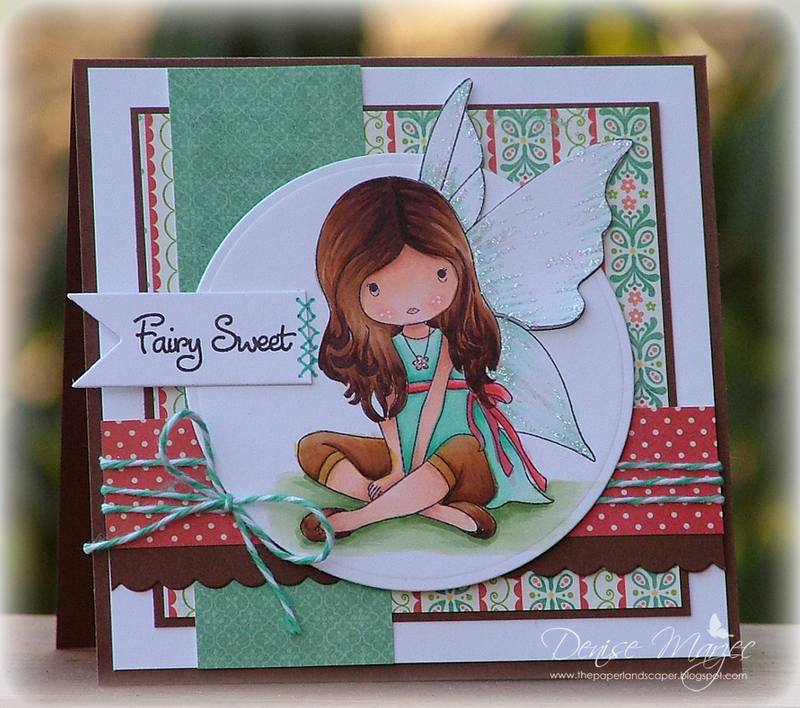 The digi image is from Nature Babies 2 from Angel's Landing and the sentiment is from my MFT Essential Sentiments clear set. The main panel is up on foam tape and the punched sentiment is up on a second layer of foam. The animals were colored with Copics and I added the grass by hand. The Copics I used were G20, YG03, YG63, YG67, E31, E41, E42, E43, E51, W1, W3, W5, and W7. 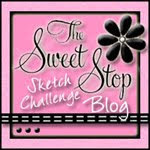 The layout is Sweet Sunday Sketch #154. Papers are On the Bright Side-Two by My Mind's Eye. So how's your weekend? We went to see The Lorax (cuuuute!) 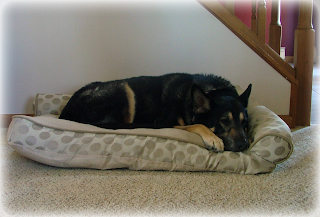 yesterday and today Kara is having one of her friend's over for a play date. I plan to watch the race in the kitchen while I get some food prepped for the week (salads, hard boiled eggs, etc....we're starting a new diet this week so I just need to have stuff ready to grab and snack on). Hi everyone! Man, this week got away from me....again. 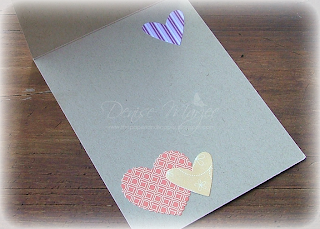 I had planned to do lots of stamping on Sunday, but it didn't work out. 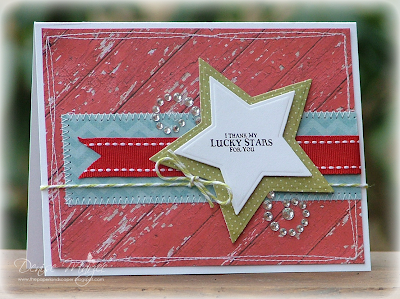 I FINALLY got to my craft table last night after everyone went to bed and made this card. The digi image is from Nature Babies 1 from Angel's Landing. 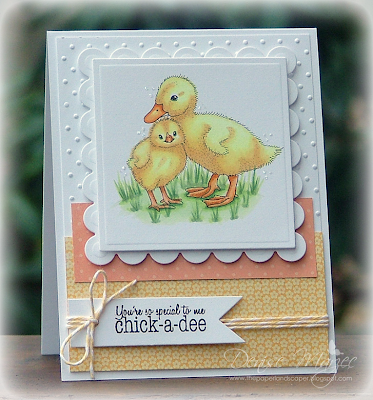 Love this little duckling and chick! Too cute! Next up I want to play with Nature Babies 2....I think that raccoon is calling my name. 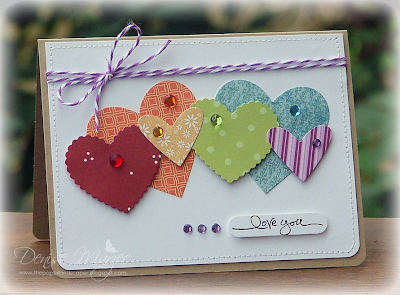 :) The die-cut sentiment (sentiment from Our Craft Lounge and die from Lil' Inker Designs) is up on foam tape. The square and scallop square panels are also up on separate layers of foam tape. I added dots of Stickles around the image for some sparkle and the layout is Mojo Monday Sketch 232. Papers are Howdy Doody by My Mind's Eye. 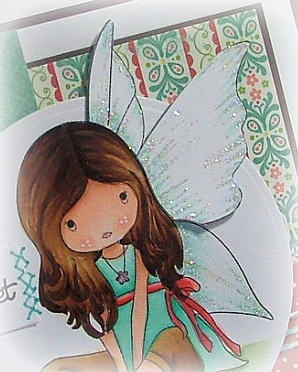 Copics were used to color the image, and I pretty much followed Judi's coloring guide on what Copics to use. I had to do a little substituting, as I didn't have all of the ones she mentioned, but I got pretty close. I used Y00, Y11, Y21, YR00, YR14, YR15, YR21, G20, YG03, YG63, and YG67. That's it for me today.....short and sweet....I gotta get to work. Hi all! How's your Saturday going? I went to breakfast this a.m. with Carol (had a REALLY great time), came home and helped hubby strip the rec room floor, went to yoga, and now we're just going to relax for the rest of the night. I've had this Whipper Snapper Floppy Bunny image colored up for about a week now and finally made it into a card this morning before I left for breakfast. The CAS layout is just something I threw together using scraps. Not sure if I'm totally in love with it, but it'll do. The sentiment is up on foam tape and I made it on the computer. We just got some new living room furniture. 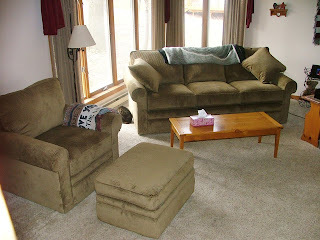 We still have a plaid chair/ottoman and two plaid pillows coming (in 6-8 weeks), but this is what we have so far. I'm so excited! Hey there! Did you see yesterday's race? Kevin was SOOOOOO close to winning. I hate when races come down to fuel mileage. Oh well....2nd place is still an awesome finish for him. (I'm not happy with the "faux stitching" I added to the sentiment....but oh well.....by the time I added it, the whole card was glued down. There was no going back since I did that as the VERY last thing). 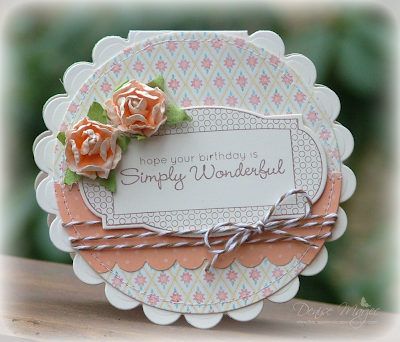 I made this card for Mojo Sketch #230 using stamps from MFT ("die-namics polka dot greetings"). The die-cut sentiment is up on foam tape and I added machine stitching all around the DP circle and the scalloped panel. That's it for me this morning. Have an awesome Saturday!